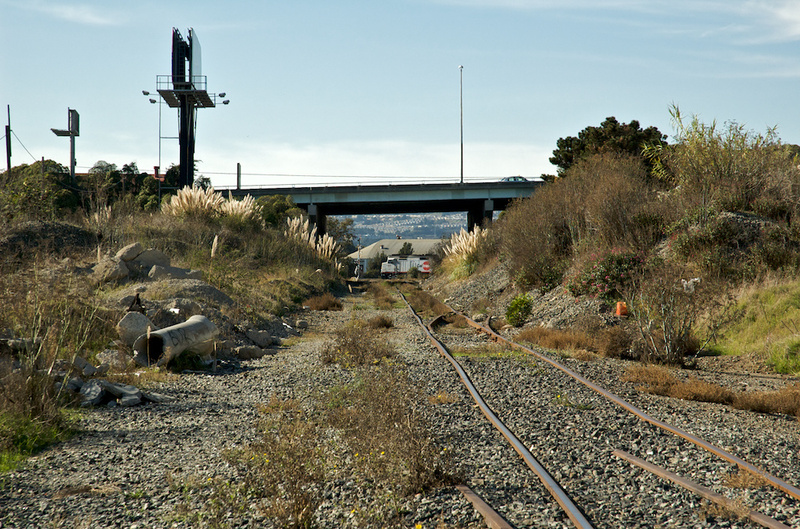 Southbound Caltrain glimpsed under Highway 101, looking along the South San Francisco industrial lead back towards the mainline. That there is sure some crappy track. Shot with the Nikon D70s and the 18-70mm f/3.5-4.5 zoom at 70mm, ISO 400, f/9, shutter 1/500 sec. Exposure, contrast, levels, and highlights adjustments in Aperture.